1. Sleep and wake up at the same time: It is my habit to go to bed between 10 and 11 at night and I wake up between 6 and 7 in the morning. The regular sleeping and awakening pattern will set my biological clock in auto mode. 2. Regular exercise: I jog regularly around 6 in the evening about three times a week. The physical routines help me to sleep better. 3. Turn the light off: When I go to bed the room is pitch-dark. This will also help me to fall asleep faster. 4. Your bed: Don’t use your bed for anything else. I don’t. I only use it to sleep at night. That’s another good habit. 5. A light snack: I have a habit of munching a few biscuits or something light to eat and a cup of Milo before I go to sleep. I don’t take coffee anymore. Not that I can’t go to sleep but a cup of Milo is healthier. Perhaps you can try something else to help you to sleep better. Get a cup of warm milk which contains trytophan, a substance that induces you to sleep. 6. No noise during sleeping time: It helps me to sleep better in a quiet room. There is no TV or hi-fi in the room. 7. Sleeping rituals: What do you do before you go to bed? My habit is to do a little bit of reading. Just a few minutes of reading will put me in a sleepy mood. 8. End the day well: Make sure that there is no outstanding issues for the day to bother you at night. And you have already written in your to-do-list for any pending matters. It helps. 9. Wear comfortable clothing: Usually I’ll put on a T-shirt and short pants when it is a warm night. During the North East Monsoon in December I will wear a pair of long trousers to sleep. 10. Avoid stimulants: Beverages such as tea and coffee interfere with your sleep. Stay away from them in the evening. Go to bed early and get up early; the early bird catches the best worm, there goes the saying. Good night and sleep well. Researchers at Texas State University in San Marcos found that workers who kept at least one plant in the office were happier at their workplace and were more satisfied with life than those without a plant. They were even happier than those workers with a window but without greenery. The reasons for their happiness are not hard to find. Recent research at the University of Texas and Washington State University, United States and Surrey University in England has found that participants are less stressed and have better reaction times when the plants are present. They are also able to recover from stress within five minutes. From the feng shui point of view, plants purify the air and add vitality to the workplace. Plants also encourage luck and are able to counteract sha qi ( 煞气). When you are facing a sharp corner you can neutralize the sha qi by placing a tall plant there to block it. If your table is facing the entrance you can reduce the flow of negative qi by putting a plant on your table. You are the happiest people in the world when you have plants and windows at your workplace. You can take a look at the plant in my office in another article posted on June 19, 2008. No wonder my mood is uplifting most of the time. One of my favourite Chinese dishes is the salted vegetable and tofu soup. The ingredients consist of ham choy, beancurd and of course a few tomatoes. When the soup is served I will go for the tomatoes. 1. China is the world’s largest tomato producer and exporter. 2. There are more than 10,000 varieties of tomatoes in terms of shapes. sizes and colours. 3. The tomato is, botanically, a fruit. 4. Tomatoes are a rich source of the antioxidant lycopene, the stuff that makes tomatoes red. It may lower the risk of certain disease, including some cancers, heart disease and macular degenerative disease. Cooked tomatoes have higher concentrations of lycopene than fresh tomatoes. 5. Tomatoes are also rich in fibre and vitamins A and C. They are cholesterol free. An average-size tomato (around 150 gm) has only 27 calories. Your body weight is determined by the number of calories you consume and the number of calories you utilize. To lose body fat you must eat fewer calories than your body burns off. 1. Do not skip your meals: While skipping a meal may reduce your calorie intake for that hour, it will leave you hungrier. You may overeat later. Also, when you skip a meal your metabolism slows to conserve your energy. When you lose weight too quickly for a few days, your body responds by conserving fat in the body, any weight loss comes from water and muscle. When you eat, eat slowly so that your body can tell you that you are full before you overeat. You eat healthy snacks like fruits between meals whenever you are hungry. 2. Have a good breakfast: After sleeping for eight hours your body needs fuel to provide energy for the day. Studies find out that the more you eat in the morning, the less you'll eat in the evening. It's easier to burn off those breakfast calories than you do to burn off dinner calories. 3. Irregular eating habit: Eating irregularly disrupts your body's metabolism which make it harder to lose weight. 4. Eat more fruits, vegetables, whole grains and fibre: Obviously these substances contain fewer calories than fried foods. 6. Stay calm and relax: When you are depressed or angry you tend to eat more. 7. Drink Water: Take 6 to 8 glasses of water to keep your body hydrated. At the same time it also starves off your hunger pangs. 1. First thing first: Do an assessment of yourself. Take an inventory of your strengths and weaknesses.Take stock of your skills and knowledge. Identify your interests and passions. What is your preferred working environment? What would you like to do even you don’t get paid for it? 2. Write your resume to match the needs of your prospective employers: It should include your skills, abilities and accomplishments. 3.Apply directly: Do some research of the employers that you are interested and see the people who have the power to hire you. This, in fact. is the most effective method to land on a job. 4.Go online: You can post your resume online and remember to use a suitable file name like your-name-resume.doc. 5.Conduct an informational interview: You interview people who know a lot about the job that you are interested. This is an opportunity for you to gather information on the field about your dream job. You will learn a lot that is relevant to your job search. Studies show that one out of 12 informational interviews results in a job offer. Refer to my career-related articles for more useful tips. A cup of Quaker Instant Oatmeal is what I consume without fail every morning. Regular consumption of oatmeal lowers total cholesterol as well as LDL cholesterol (bad) without adversely affecting LDL cholesterol (good). Furthermore, it can reduce inflammation, one of the first sign of atherosclerosis (hardening of the arteries). Oats are rich in soluble fibre - beta glucan. Beta glucan increases the excretion of bile from the gall bladder into the small intestine. This, in turn, stimulates the body to produce more bile to pull cholesterol out of the blood. Oats and other oat-based foods can lower the risk of cardiovascular disease and they contain antioxidant compounds that help keep the heart healthy. Make Oats part of your balanced diet because you will also find all the vital substances in them: protein, fat, carbohydrate, fibre, vitamins and minerals like iron, magnesium, sodium and zinc. Let's start with happiness. According to researchers in the United Kingdom and America, they studied more than two million people in 80 countries and found that our happiness follows a U-shaped pattern. We are happier at the beginning and at the end (in our 50's) of our life and not so happy in between. With the happiness at old age in mind let's talk about living extra nine more year. Researchers at King's College London and in the United States studied ageing in 2401 twins by analyzing telomeres. Telomeres shorten with age, leaving people increasingly prone to cell damage, which causes disease. They found that on average the telomeres were significantly longer in the more active twin. According to Dr.Lynn Cherkes from the Twin Research and Genetic Epidemiology Unit at King's College London, she said that the difference in telomere length between the most active subjects and the inactive subjects corresponds to around nine years of biological ageing. How about that? When you are active physically you can live nine years longer and on top of that the extra years will also bring you happiness. I love broccoli. Previously, when I worked in hotels my favourite dish was broccoli in oyster sauce. Every day I would order this delicious dish without fail. The goodness of broccoli is more than its taste. It has anti-cancer properties. In a study conducted at the University of Connecticut, researchers have found that it also protects the heart against ailments such as high blood pressure, heart disease and stroke. According to Ms Nehal Kamdar, dietitian at Raffles Hospital, broccoli is a great immune –booster as it is rich in vitamins A and C, folic acid, calcium and fibre. In fact it has twice the amount of vitamin C that spinach has. British researches reported that by eating more portions of broccoli each week may protect men from prostate cancer. According to them broccoli has a particular powerful type of the compound called sulforaphane that gives the green vegetable an extra cancer fighting kick. In yet another study conducted jointly with US and Chinese researchers it was found that those men with detectable amounts of isothiocyanates in their bodies had a 36% lower risk of developing lung cancer over a 10-year period. Isothiocyanates are found in broccoli and other cruciferous vegetables. When you have a hectic life you are more likely to incur lifestyle cancer. You eat too much fatty and fried food with high sodium contain. Too much entertainment means drinking and smoking excessively. You are also working constantly under pressure and there is no way for you to unwind. All these bad habits will allow the cancer cells in you body to break your defence system and develop into tumours. 1. Eat more fruit and vegetables –The antioxidants content will check the growth of cancer cells in your body. Cancer cells thrive in an acid environment and too much meat is acidic. 2. Bad eating and drinking habits to avoid – By taking less sugar, sodium and fat you will be able to stave the development of cancerous cells in your body. Avoid coffee and tea (except green tea which has cancer-fighting properties) which have high caffeine. Stop smoking and drink moderately. 3. Exercise and deep breathing help to get more oxygen down to the cellular level. Cancer cells cannot thrive in an oxygenated environment. 4. Be forgiving and loving- Resentment and bitterness will put the body into a stressful and acidic environment. Be happy, relax and enjoy life. 1. Do you have adequate protection for you and your family against the risks of death, disability, medical expenses and property losses? 2. Do you save 10% of your income every month? 3. Do you pay your bills promptly? 4. Is your income source stable? 6. Do you have a financial plan for your retirement? 7. Is your will up-to-date? 8. Do you know your net worth? 9. Do you feel secure with your investment? 10. Is your career financially rewarding? 11. Do you use your credit cards wisely? 12. Do you have emergency fund to last for three to six months? 13. Do you have savings for your children’s education? 1. I keep only those cards that are free for life. For each free card I keep I can save RM200 to RM300 on annual fees. 2, I use one of my cards for the payments of monthly insurance premiums and utility bills such as electricity and telephone. For the monthly amount charged to the card I can collect valuable points. I redeem the point for useful household appliances like cooker, Thermos flask, oven and vouchers to shop at Popular, my favourite book store. 3. I use my CIMB Petronas card to pump petrol and receive the 2% cash discount. 4, I use another card for all other purchases to get cash rebates. 5. Recently I used one of my cards to buy a PC by installments with zero percent interest. I spread the installments over 12 months. My cash flow is not affected. I don’t incur interest and on top of that I collect valuable points. 6. This is very important. I use the cards only to take advantage of savings. I’ll not buy anything unnecessary with my cards. I pay my credit card bills promptly and fully. Otherwise the interest charged will be more than my savings. It has always been a nice feeling for me to know that I do get many free things in life after all and on top of that I can use the free things to earn money. Of course, I am talking about Google, Blogger and AdSense. Blogger.com offers me a platform to blog about the things that I enjoy. The plus point is that I can change my template at anytime I want in split second. I have just changed mine to red, my lucky colour. have been generating earnings. By the way, I have just removed Referrals from my blog as it will be retiring during the last week of August, 2008. I have other ads from Nuffnang, Kontera and Amazon but the earnings from AdSense are the most rewarding. I am very appreciative of what Google has done for me and all of us. One night, it was raining cats and dogs and you were driving pass a bus stop. They were three people there waiting anxiously for a bus. One of them was a dying old man. He needed to go to the hospital immediately. The other one was a doctor who had saved your life before and you were trying very hard to repay your gratitude. The last person was your dream girl. The girl that you wanted fervently to marry. However, you could only carry one person. What would you do? The old man was dying you needed to save him first. You also wanted the doctor to get in your car because he saved your life. And if you didn’t let your dream girl into your car you would regret your whole life. The moral of the story is that if you are willing to forgo what you have, perhaps you will get even more in return. I am a regular drinker of green tea. I drink a cup once a day in the evening. I find that after a cup of green tea I have a delightful feeling in my stomach. Drinking green tea is especially beneficial after consuming oily food like fried noodles and ‘干捞面’'gan lao mian’. The other plus point is that it helps pass motion quickly and easily. It is good to learn that researchers at the University of Arizona found that participants who were given caffeine-free green tea extracts increased the production of detoxification enzymes known as glutathione S-transferase (GST) in the body. According to dietitian Charles Lew from Tan tock Seng Hospital’s Department of Nutrition and Dietetics, green tea contains compounds such as catechins that have antioxidant properties. It means when you drink green tea regularly it helps reduce the free radical damage that is often associated with certain cancers and cardiovascular diseases. By the way, you can refer to my posting on January 20, 2008 for more goodness of green tea. I don’t buy the same brand when I run out of it every time, because the supermarket doesn’t often stock the same brand. I just buy what is available. The picture shows the brand that I am drinking now. Cheers to your health with green tea. 1. A balanced diet: While you take care of your diet by eating the right proportion in the various food groups, it is prudent to increase the consumption of fruits and vegetables which contain a lot of anti-oxidants that is able to repair and renew your damaged skin. At the same time, reduce the consumption of fatty and oily food. 2 Take a multi-vitamin tablet containing vitamins and minerals. They help repair and maintain the skin and they support the elasticity and suppleness of your skin longer. I take Centrum daily to care for my skin and general health. Refer my article on “Vitamins, minerals and your skin” on January 6, 2008. 3 Drink plenty of water daily to allow your skin to be hydrated. Reduce the intake of alcohol, coffee and soda. 4. Don’t smoke or give up smoking. Smoking accelerates the aging of skin. 5. A good night’s sleep is able to rejuvenate your skin. You will see fewer wrinkles on your face. 6. Keep up with your regular exercise to sweat it out and get rid of toxins. 7. Avoid sun exposure especially from 10 a.m. to 4 p.m.
A potato consists of about 80% water and 20 % starch. Like rice, the carbohydrates of potatoes in the form of starch are your body's primary source of fuel for energy. There is a small amount of protein inside a potato and it is one of the best to be found in vegetables. A potato contains important vitamins and minerals: Vitamins C, potassium, vitamin B6, trace amounts of thiamin, riboflavin, folate, niacin, magnesium, phosphorus, iron and zinc. The fibre content of a potato is almost the same as many whole grain breads, pastas and cereals. The majority of the nutrients are found in the potato itself and not in the skin. A medium-size potato has only about 110 calories. It is fat-free and cholesterol-free. By the way, 2008 is the United Nations International Year of the Potato. 1. In the office: They are in front of the monitor. 2. At home: They are in front of the TV. 3. Outside: They are behind the windscreen. So, what are the 4 unhealthy eating habits? 1. They don’t eat breakfast. They are rushing because they are running short of time. So, they are under nourished. 2. Because they are busy they don’t follow a regular time for their meals. They eat the wrong kind of food. Again they are malnourished. 3. They overeat during dinner. In this case they are over eating before bed time. 4. They eat snacks to replace a regular meal. Snack foods are high in fats, sugar, and calories, but low in nutrients. They don’t exercise and they consume too much fat and very little fibre. In the end they are obese. 1. Always sit down to enjoy your meal. Eat slowly, chew well and savour each mouthful. 2. Throw away all the junk food at home and in the office. 3. Have a good breakfast and go easy on your lunch and dinner. 4. If you must eat between meals, eat fruit or sandwiches. 5. Avoid fried or oily food like fried noodles or eating in fast-food restaurants. Eat more vegetables, fruit and nuts. You can tell a healthy child by his looks. He is alert, active, curious and full of energy. What are his secrets? 1. A balanced diet: He eats a variety of food from the 6 food groups. His eating habit fortifies his immune system. 2. Water: He drinks plenty of water, fruit juices and soup to avoid illnesses. 3. Exercise: His parents take him to the park, beach or waterfall to play and have fun. The sunshine and the fresh air are good for his health. 4. Sleep: He has adequate sleep and he also takes a nap in the afternoon to get sufficient rest. 6, Cleanliness: His parents have taught him hygiene at home and in school. 7. Confident of himself: He is showered with love from his parents. He is also motivated by his parents and so he has high self-esteem. Invest in yourself: Acquire specialized knowledge and make yourself more valuable in the market place, thereby increase your earning power. 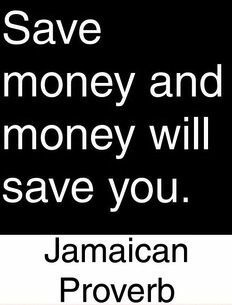 Save first: The most effective way to do it is by forced savings. Buy an investment-linked policy, arrange a monthly standing order with your bank to invest in unit trusts or if you can save more, buy property and pay the monthly installments. Protection: Ensure adequate insurance to cover yourself against accident, sickness and hospitalization. Don't forget to cover the property you owned as well. Careful with Spending: Take advantage of special offers, use your credit cards to get cash rebates, buy house brand goods. Save electricity and water at home. Plan your journey to use petrol prudently. Save early for retirement and tertiary education of children: Let compound interest works wonder for you. Start early and you will amass more wealth. Diversify your investment: As the saying goes: Don't put all the eggs in one basket. Invest according to your risk tolerant level. The younger you are the higher the risk you can bear. Estate planning: Make arrangement for the hassle-free transfer of your property to the next generation. Proper planning can reduce taxes substantially. Proteins: They are required in small quantity to repair damaged tissues and generate the growth of new cells. Meat, poultry, fish and eggs are high in protein. Carbohydrates: They provide the body with energy, help to control the breakdown of protein and protect the body against toxins. You can get carbohydrates from starchy foods like rice, bread and potatoes. The Chinese has a saying, “Avoid the 3 whites – white rice, white bread and white sugar”. How true it is. So, look for brown rice, whole-wheat bread and fruit instead. Fats: The body needs fats for growth and repairs. Fats help insulate the body and protect vital organs. However too much of saturated fats are bad for our health. Choose olive oil. Please refer my article on “Fat: The Good, the Bad and the Ugly” posted on December 2, 2007. Vitamins: Vitamins are needed to process other nutrients, help regulate the nervous system. They also help form genetic material, proteins, red blood cells and hormones. The various vitamins can be obtained from most of the food groups. I take a multi-vitamin tablet daily to combat deficiency in certain vitamins. Minerals: Minerals are needed for the formation of bones, teeth and blood cells. They are also assisting the chemical reactions of cells and for regulating bode fluids. Consume milk, yoghurt and cheese which are rich in calcium. Obtain iron from breads, cereals and other grains while whole-grain products give you magnesium and zinc. Fibres: Fibres help promote a healthy digestive system. They also help prevent constipation. You get fibres from whole-grain products, fruits and vegetables. 1. Health and fitness: Health is the primary factor that allows you to carry out what you are supposed to do in order to live a happy life. Moreover when you are healthy and fit, you feel good inside out and you are full of vitality. 2. Something to do in life: Whether it’s a challenging career or doing some voluntary social work, life is more fulfilling. 3. Family: A happy home life is a very important ingredient for happiness. A place you look forward to after a hard day’s work. 4. Live within your mean: The Chinese has a proverb for it: 年年有余（nian nian you yu）. It means every year there is something (money) left over. I am not rich but I have no debt, so I sleep well at night. Be happy with what you have while you pursue the things you don’t have. 5. Lifelong learning: Make your life interesting by learning something new. Blogging is something new to me. It’s really thrilling to learn all about blogging. 7. Relationships: Spend time with your friends and relatives to share jokes and ideas. It’s heartening to know that you can also count on the people around you when the need arises. When work is stressful our health is affected, in the long run we may suffer a burnout. 1. Planning: I have my to-do-list ready for the day. I know more or less the few tasks that I can accomplish in a day. I just make sure that I complete the most important tasks for the day and I am OK.
2. Don’t work overtime or work at home: With planning and proper time management the work is done within the normal working hours. 3. Jogging: I find that this is the best stress releaser. After jogging for two rounds I have a sense of well-being. My mind is at ease. I am totally relaxed. 4. Spend quality time with the family at the weekend: It’s part of a balanced lifestyle and it is also a good thing to take a break from work. 5. Work Smart: I delegate as much as possible to reduce the work load, I don’t eat my lunch in the office and I don't take on more tasks than I can handle. American researchers conducted a study on the consumption of 250mg of calcium daily by 94 young girls between the ages of 12 and 14. They found that the hardness and the density of their bones were more than those who didn’t consumed calcium. By the time they reached the age of 18 the bone density of the former group were more than the other group by 6%. It means it is important to take calcium supplement early to prevent osteoporosis at old age. Doctors agree that exercise such as walking and jogging will strengthen your bones. When you give up the bad habit of smoking and curtail the consumption of alcohol you will also reduce the damage to your bones. It is also important to eat a diet rich in calcium and vitamin D. When you worry about your diet you can take calcium and vitamin D supplements. Vitamin D helps to absorb calcium. On a daily basis I take one tablet of calcium carbonate (450mg) with vitamin D (200 IU). Taking calcium carbonate to absorb calcium is like taking milk to absorb calcium. Like most people, I put things off, I delay doing it because I don’t like the task. So I can’t get things off the ground or I have started but I don’t seem to be able to finish the work. From past experience I have found the following tips to help me kick start the task at hand. 1. Get ready: When you are fully prepared, you start off right away. When I started my blog in October 2007, I was ready. I had my blog name in mind and I had a few articles on hand. So I started off without a hitch on October 24, 2007. I had chosen the day because I was free. 2. Just do it: I don’t like the idea of having outstanding issues hanging over my head. I will finish it off as soon as possible so that my mind is not bothered. 3. Have the serious consequences in mind: Certain issues, perhaps they are not serious to warrant immediate action, but the longer you delay the worse they will be. Like minor aches and pains, I will put a date in my diary to consult the doctor before it deteriorates further. 4. Bits and pieces of time: Most things you cannot finish in one go. I just make sure that I do part of the job on a daily basis. Before you know the task is completed. When you allow the work to accumulate it will definitely put your off and procrastinate. 5. Your goals: Always keep your goals in mind. It provides an impetus for you to do it now, because you know the reward you will get when you achieve your goals.